Welcome to nicosonic.com. If you are interested in old, rare, unusual or just plain bizarre music equipment, you are in the right place. If you are trying to unravel the mysteries of the elusive guitar "Tones" (insisting on the plural form), you won't be disappointed. And if you are into building, repairing and modifying electronic equipment, you will no doubt enjoy this website even more. Surfing on the full tube studio equipment: the TubeTech SSA 2A. Old, grumpy and aggressive: the Elka DizzyTone. One of the most obscure MXR designs: the MXR OMNI. Make those tubes groove: the GT Trio. Multi-effects can be cool: the Ibanez UE300 series. Can't justify selling the house to buy a Dumble? How about a Ceriatone Overtone Special. Big tone in a small package: the Mesa F30. It's purple, it shines and has many knobs: the DBX 162SL. Want to record your tube amp on 11 while the neighbours are snoring away? Check my iso-cab! One head, many arms: the Bogner Shiva. Reverb and trem in a Hiwatt? Yes Sir, it’s a Hiwatt SA212RV. A modern-day workhorse: the Orange Rockerverb MkI. A lesser known version of the mighty Superbass: the 1992 JCM 800. A French legend in the studio console's microcosm: the Lafont Producer In Line. Big, bold and rectified: the Mesa Roadster. The truth about the Ibanez UE-400 rack effects series: the distortion effect and the different versions of the 400! The inspiring but long forgotten Squier Vista series. The great and simple tone of the tape delay: the Guild/Wem Copicat. Ross pedals: plenty of tones from the US and Taiwan. Variation on the tube reverb theme: the Surfin'Verb. 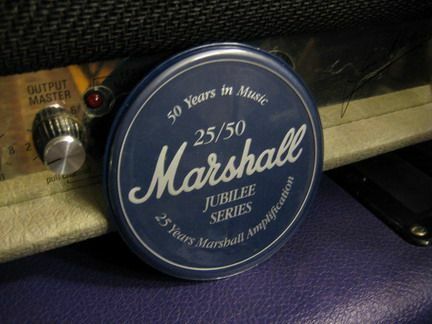 Don't you step on my blue suede Matamp C7! The original Maestro designs illustrated by the MPF-1. American design, Russian manufacturing: the sovtek pedals. Fuzzy Bosses: the latest article in the Effects page. Need more power? Try the Hiwatt Custom 200. If you have a technical question or need expert repair service in France, please contact us here.